SOS! Is that a new spot you spy? CLEAR-OUT is our anti-blemish hero - 84% saw swelling, soreness and redness reduced within 2 days. Calming any breakout areas or emergency spot situations, our purifying spot cream is formulated to stop spots in their tracks. The soothing cooling gel does wonders to reduce inflammation and clear clogged pores before they become problem areas. 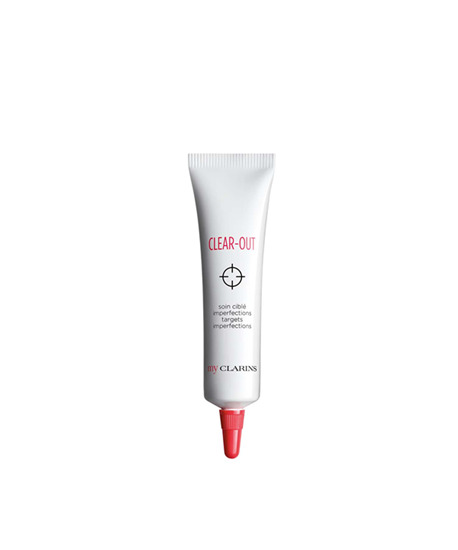 CLEAR-OUT won’t blow your cover: use on clean dry skin or under make up to reduce redness and soothe inflammation. Kicking spots into touch since 2019.